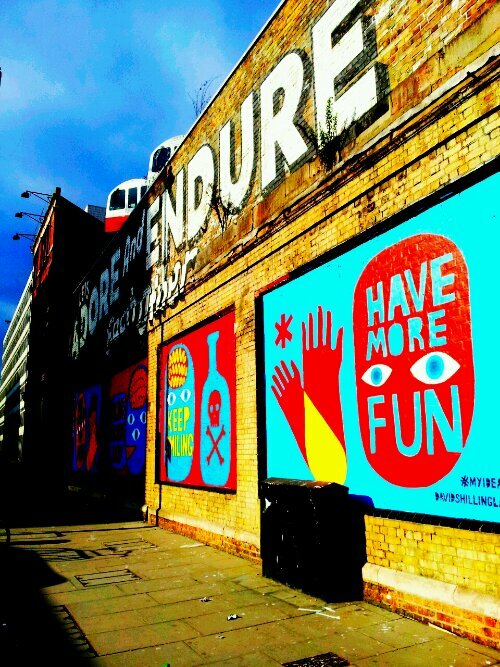 The panels on the Great Eastern Street side of the Village a underground have once again been given a makeover. 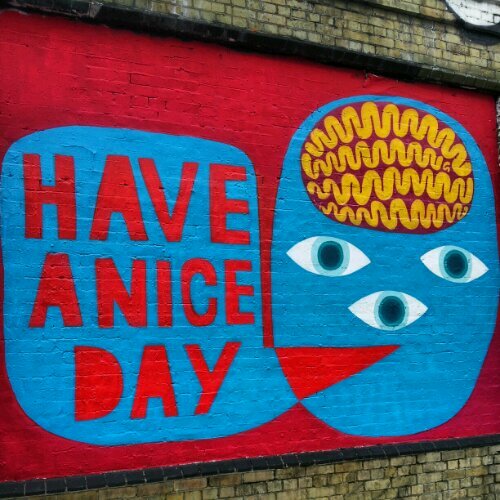 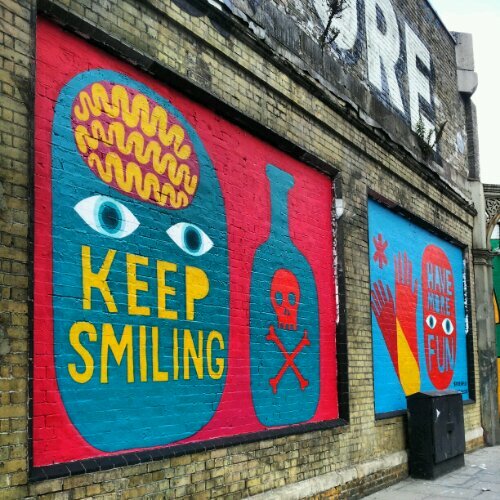 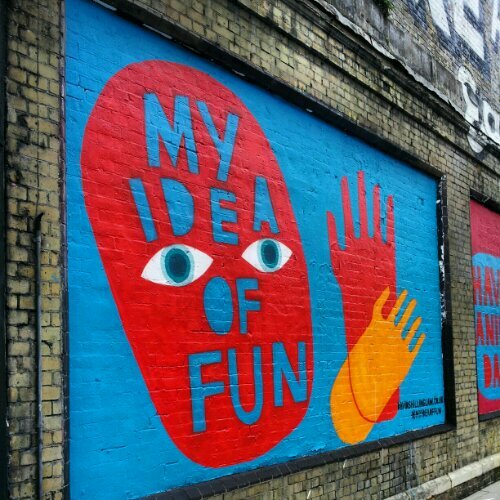 This time David Shillinglaw has been able to add his unique style to some of the most often painted panels in London. 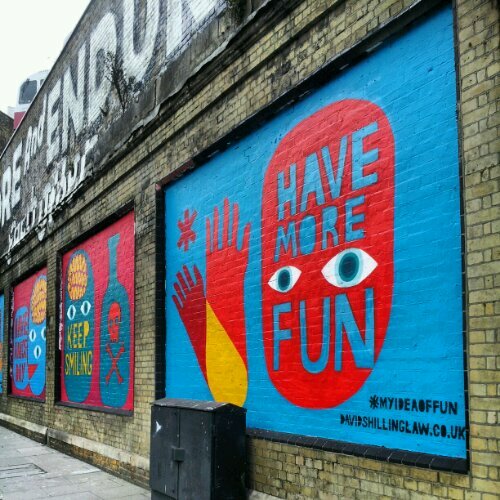 Colourful, bright and positive the murals certinaly are a welcome addition and come hot on the heels of other paintings from renowned artists Thierry Noir, Phlegm and RUN, all of whom have painted this space recently.